This is philosophy as it has never been seen before. Lakoff and Johnson show that a philosophy responsible to the science of the mind offers a radically new and detailed understandings of what a person is. 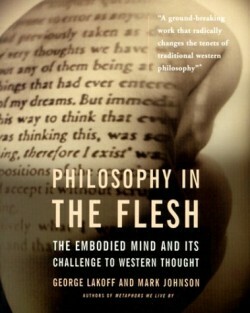 After first describing the philosophical stance that must follow from taking cognitive science seriously, they re-examine the basic concepts of the mind, time, causation, morality, and the self; then they rethink a host of philosophical traditions, from the classical Greeks through Kantian morality through modern analytical philosophy.